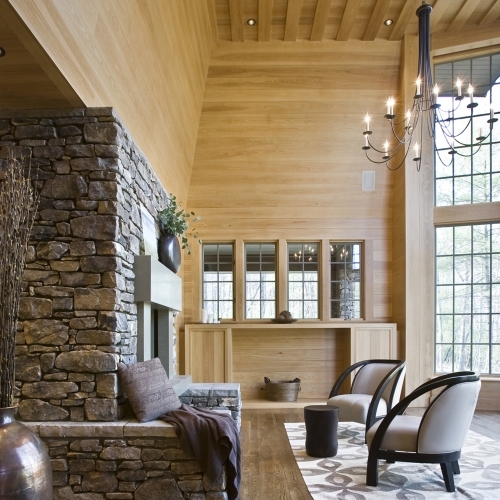 The cypress entertainment center blends with the wall paneling. 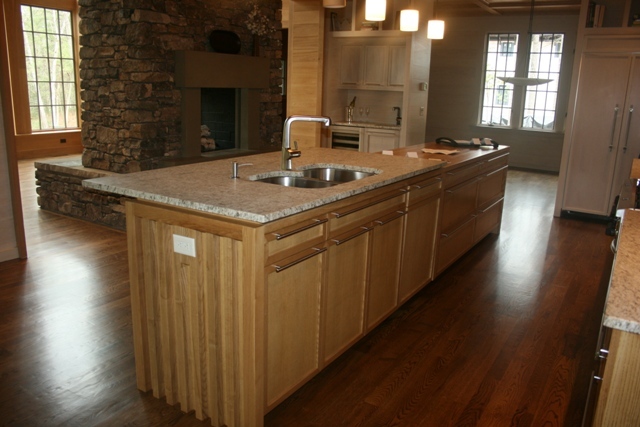 We worked with Carlton Architects on many projects in this residence. 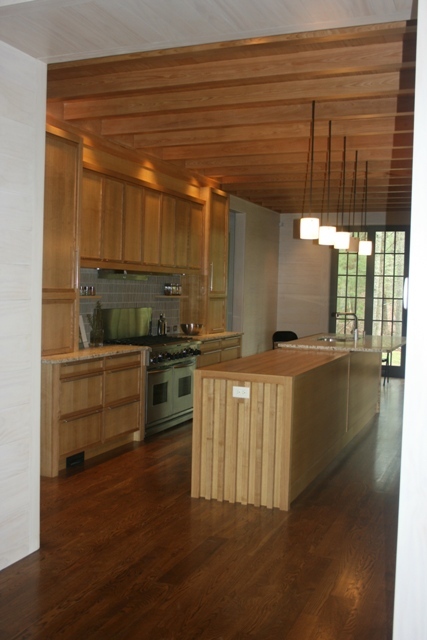 The kitchen cabinetry was done in ash to correspond with the beams. 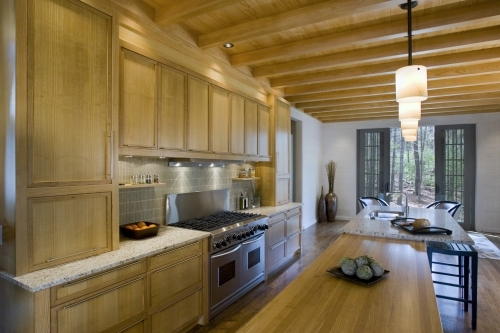 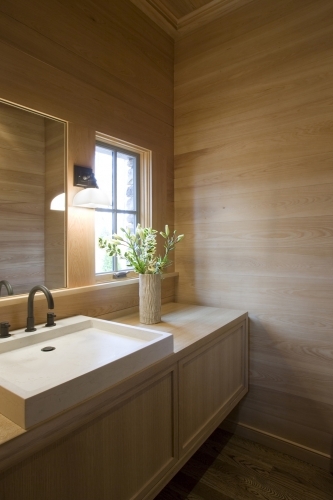 Five different species of wood were used in the house to create a warm, cozy feeling. 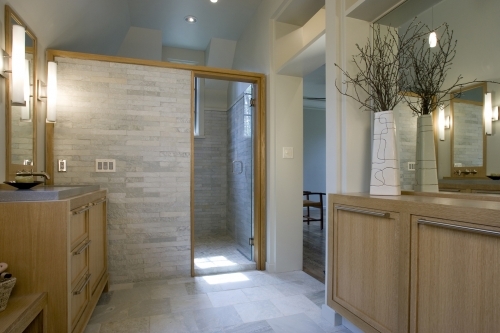 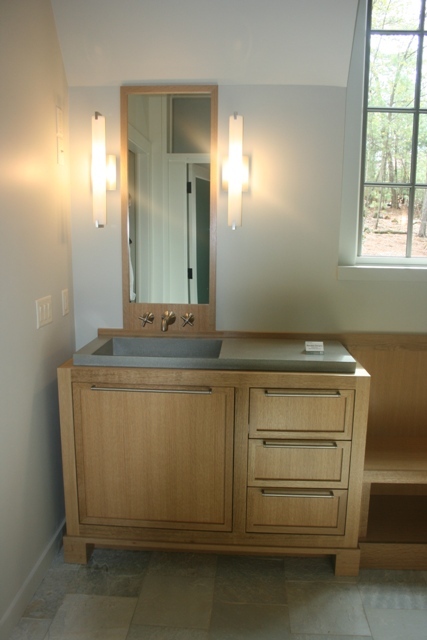 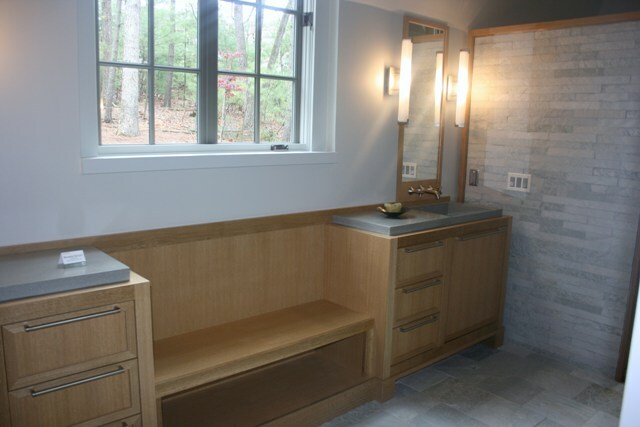 The master bathroom won the Best in American Living Award from Professional Builder Magazine. 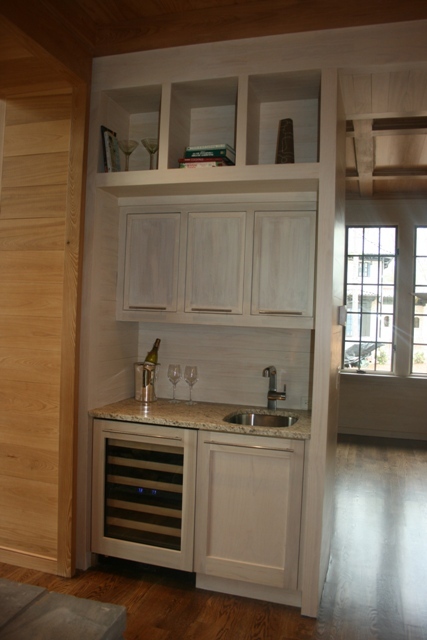 The cypress entertainment center blends with the wall paneling.